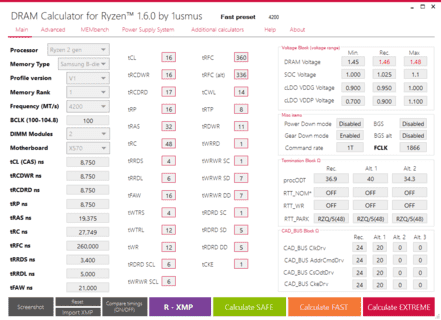 DRAM calculator for Ryzen helps with overclocking your memory on the AMD Ryzen platform. It suggests memory timing sets optimized for your memory kit, for example B-die. Using Ryzen DRAM calculator you can achieve higher memory overclocks with better stability. 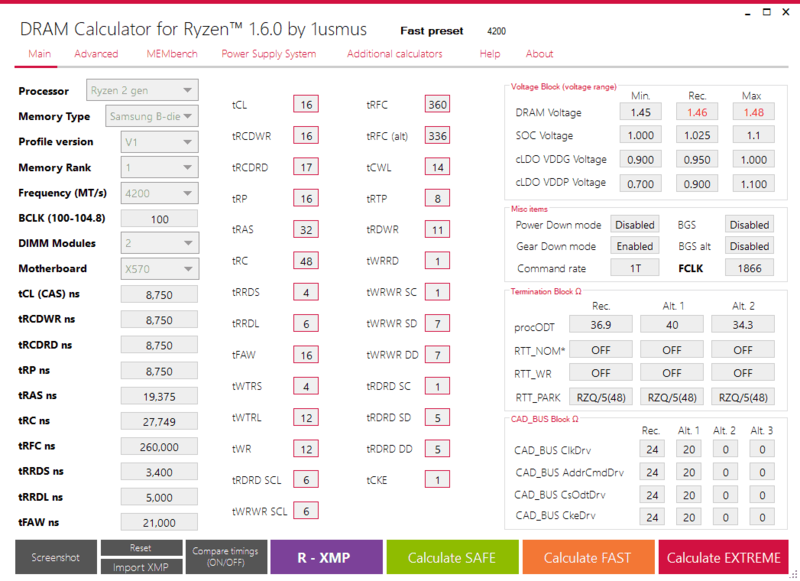 Ryzen DRAM calculator is designed to work with all AMD Ryzen Zen architecture first and second generation processors. CAD_BUS. AddrCMDDrvStr slightly increases with the frequency of the RAM, 24-30(ohm) are the optimal value. the "custom profile" now works a little differently, in most cases the XMP data is simply not compatible with Ryzen, so some timings are calculated according to a special algorithm. My opinion, importing a profile in most cases will not be successful anyway, AMD and Intel controllers have huge architectural differences and signal tolerances.